I’d been looking forward to reading Maggie Stiefvater’s Shiver for awhile–it came highly recommended, so when I sat down to read it I carved out an afternoon and figured I would finish it the following day. Afternoon quickly became evening, and I was up until the wee hours of the morning because I absolutely HAD to know what happened. As I mentioned back in April, I thoroughly enjoyed reading Michael Spradlin’s The Youngest Templar: Keeper of the Grail. The book seemed so well-done, so well-researched, I couldn’t put it down–or stop recommending it to anyone and everyone who I thought might have even a passing interest in it! 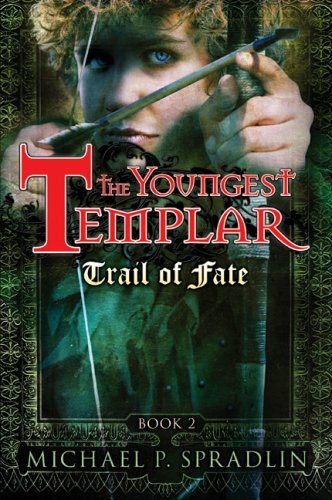 Needless to say, I was extremely excited to interview Mr. Spradlin on the newest installment in Tristan’s journey, which comes out in September: The Youngest Templar: Trail of Fate.